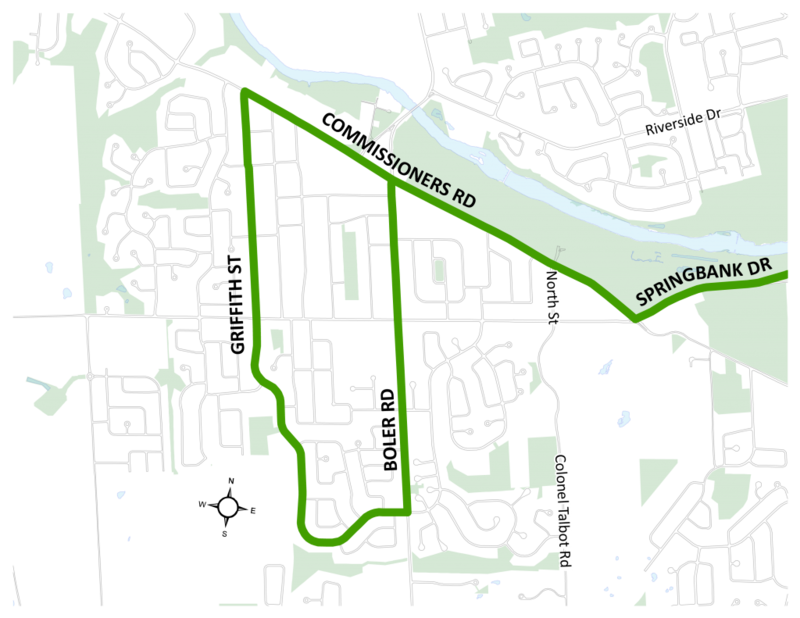 Route 5 does not service Griffith St. east of Boler on evenings and weekdays. 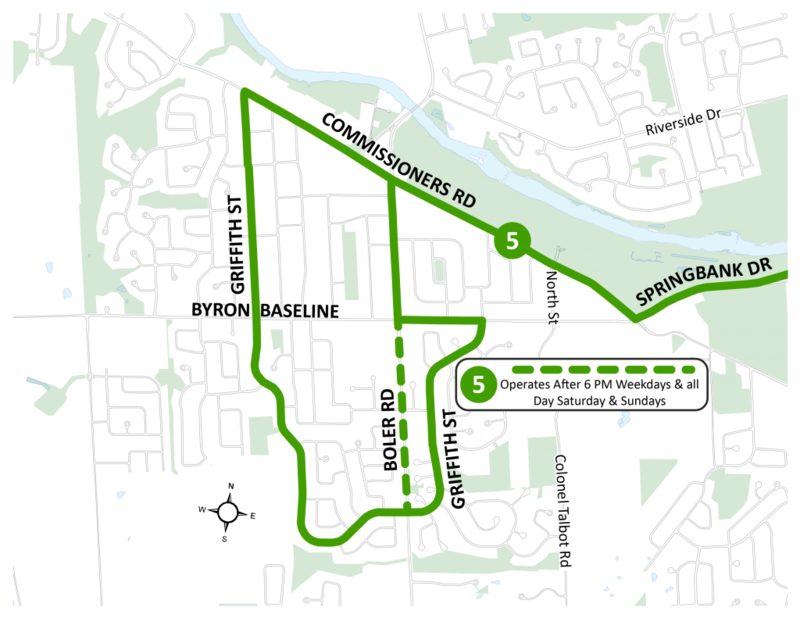 To simplify the network and provide faster run-times, the proposed change maintains the direct evening and weekend routing on Boler Rd. all-day everyday. The faster run-times will also enable the Route 3/5 to improve its’ on-time performance.